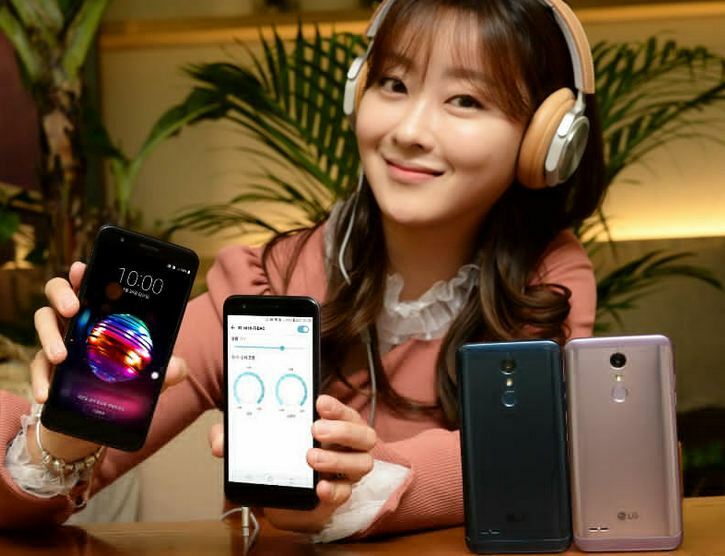 LG X4+ smartphone or rather called the LG X4 Plus smartphone has now been officially unveiled. The smartphone comes with stunning specs for those into rugged devices, so if you are a fan of sturdy, mechanically built, strong and crazily built ware then this piece becomes an option to give a try. The device comes with MIL-STD rated feature, more specifically, the STD-810G Certification. With 32-bitDAC. Can be compared to the likes of the X-Venture rugged smartphone but with pricing coming even more affordable. What’s all the jargon above mean? If you aren’t into the tech jargon; then what the MIL-STD means, is that the device can work and withstand unfriendly environment conditions. Like can withstand impact, shock, vibrations, high temperature, low temperature, humidity, thermal shock etc. Going down a little on the specs. LG X4 PLus, comes built in with a Snapdragon chip at helms of affairs. That is the Snapdragon 425 chipset. With a Quad-Core processor comprising of 1.4GHz clock speed. The RAM is 2GB while the onboard storage is 32GB. Comes alongside extension slot for additional memory via microSD card. Also in the chip board is the Adreno 308GPU, which handles for gaming and other graphics processes. Runs on Android 7.0 Nougat operating system. As for the battery department, comes with 3000mAh capacity battery which acts as source of power for the whole device. Connectivity options include, NFC, Bluetooth 4.2 system, Wi-Fi 802. On the Audio department. The smartphone comes with the exceptional High-Quality DAC system with 32bit 192kHz audio feature inside of it which helps to give for a high audio quality. Also comes alongside FM audio support. The rear camera is 13MP with 77 degree wide angle which acts as the main sensor. While the front selfie camera is 5MP with 100 degrees wide angle viewing, which helps to capture more selfies. To lay your hands on this piece, you would need to drop around 270+USD for different coloured variant of the device. That translates to around 200+ Pounds. LG X4 Plus comes in Lavender Violet and Moroccan Blue colour variants. And also supports LG Pay payment system. Nice phone specs and pinpoint detailing. Hoping it comes to this part. Which online store can i get it from. THIS IS ALL YOU NEED TO KNOW ABOUT 2018 JAMB REGISTRATION PROCESS.